The Microsoft Imagine Cup is a world’s premier student technology competition encourages students around the world to apply their imagination, their passion, and their creativity to solve the world toughest problems through technology innovations. In past years, students have created technology platforms to help relief workers locate victims, affordable devices to revolutionize classroom education in impoverished areas, and mobile games that teach children the importance of caring for the environment. In ten years, the Imagine Cup has grown to be a truly global competition focused on finding solutions to real-world problems. Since 2003, over 1.4 million students have participated in the Imagine Cup with 358,000 students representing 183 countries and regions registering for the Imagine Cup 2011 competition. 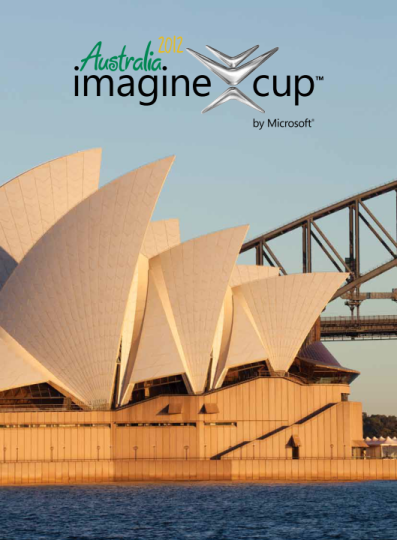 The Imagine Cup 2012 Worldwide Finals will be hosted in Sydney, Australia and we’re already excited to see the amazing ways that students will change the world through technology. You could be an Imagine Cup 2012 winner, so gather your friends and sign up for a competition today! There are many challenges faced by our world today and even in our own local communities. Imagine Cup knows students have the knowledge, the passion, and the drive to make a difference. Imagine Cup challenge students to help solve the 8 United Nations Millennium Development Goals by creating real-world applications and solutions that can help make the world a better place. Students will develop, test, and build their ideas into applications that can help solve some of the world’s toughest problems, such as poverty, hunger, gender inequality, environmental sustainability, and access education and healthcare. This is just part of the long post in Imagine Cup Social Media Team Blog. Check out the the other 9 reasons there.